5 Stars / Great God Pan The / Machen Arthur / Short Stories / Tuesday Terror! …suddenly her eyes opened. Clarke quailed before them. They shone with an awful light, looking far away, and a great wonder fell upon her face, and her hands stretched out as if to touch what was invisible; but in an instant the wonder faded, and gave place to the most awful terror. 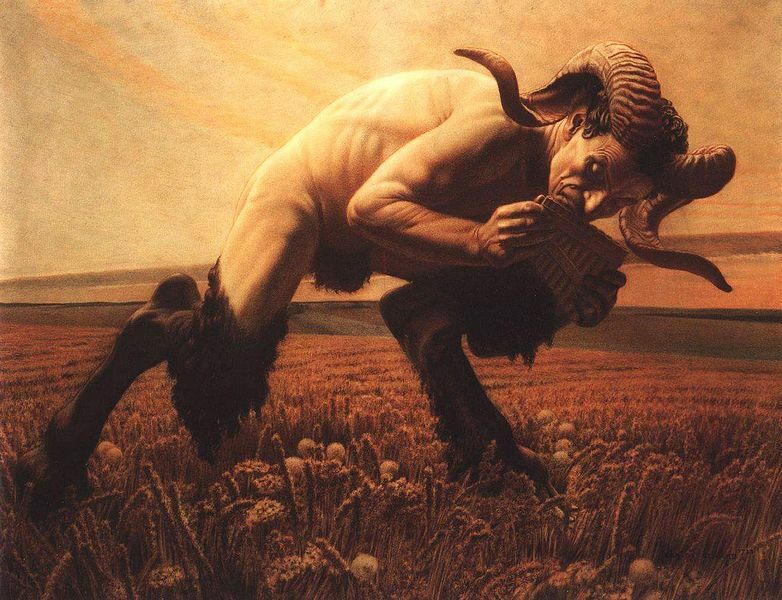 Le Faune by Carlos Schwabe. Musées d’art et d’histoire in Geneva. 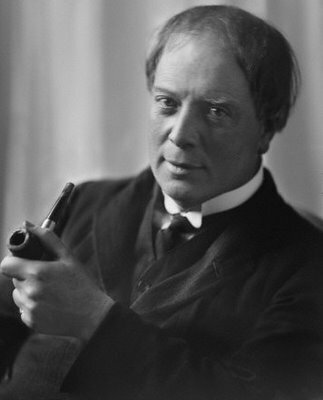 Arthur Machen, book review, horror, The Great God Pan, The Great God Pan and Other Horror Stories, tuesday terror! Joking aside, this is a lovely review that captures the feel of the book beautifully. Poor Mary – suddenly starving to death in a gutter doesn’t seem so bad! I’m really impressed by this book, I must say – or certainly your review of it. It’s going firmly on my list. It does sound deliciously atmospheric, FictionFan, in that uniquely Victorian way. And I like the way a lot of the beliefs of the time come through – even the ones ( like the attitude towards Mary) that are eye-rolling by today’s standards. Sounds like a well-told tale, too. Glad to see the porpy back! I remember this story from my teens – I always thought the true horror of it was the casual way Mary was treated. The real monsters in the world are the ones pretending to be human. 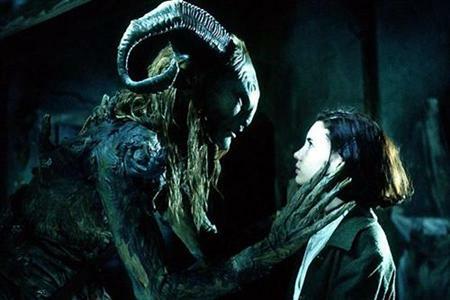 I haven’t seen Pan’s Labyrinth but finding out it was inspired by this makes me want to. The Shape of Water sounds fab too – I hadn’t even heard of it. I’m so out of touch with film… must make more of an effort to actually watch some of the millions on my watchlist! I want to see The Shape of Water but have been warned there’s all kinds of slurpy sucking noises coming from mouths, and that could send me retreating up the aisles with the intent to knock over everything I see in an effort to escape. Blerg. LOL yes, that’s true, there are noises like that. Although…not enough to make me think it was weird? If you have misophonia, you know it because it makes you psychotic. Something awfully sad about throwing away a person just because she was found in a gutter. That said, I don’t think this one is for me, despite Porpy’s endorsement. Oh, well, my TBR is pudgy enough anyway! As always your asides really made this something special! Poor Mary indeed!! 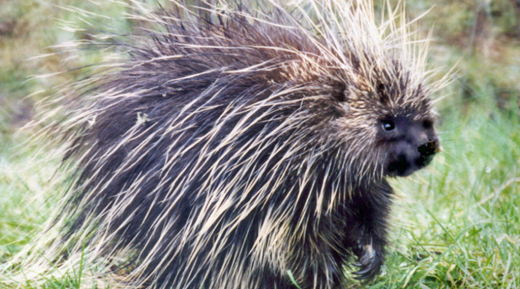 As you say the writing is so typical of the era even though this is essentially a terrifying tale despite you only awarding three porcupines this week. Haha – glad you enjoyed it! These Victorian horror writers always bring out my sarcastic side… 😉 The writing’s great though and it had a couple of fairly scary bits, but not enough to set the porpy quivering. Poor Mary, though! Your comments made me laugh out loud! Don’t know if this is really my cup of tea but it’s nice, as you say, to see where this fits into the grand scheme of horror/weird writing. Enjoyed your review, as always!